If you live in the Easton, PA area and have a draining issue, then we want to be the answer to your problem. We are available 24 hours a day and weekends and holidays are never a problem because we are waiting for those calls from frustrated people who have a clogged pipe right in the middle of an important dinner. We want to be there to help and often we can with a quick visit to the home. 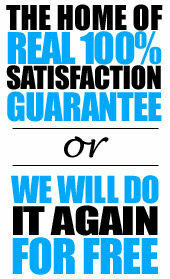 We have very reasonable prices and will be glad to come out and fix the problem. A clog pipe can be caused from a variety of things. Sometimes it is a build up of hair and other things that get past the drain strainer. Sometimes, the kitchen sink is backed up because of potatoes peels, carrots or even rice. These culprits are often the problem and sometimes can be easily fixed. After the drain is running freely again, it is a good idea to remind everyone in the family that certain foods cause the sink to back up. Something’s just naturally clog the pipes, so it is a good to be careful about what goes into the sink. When a professional plumber is needed, it is important to call someone who you can trust. We are well known in this part of the country as the number one plumbing company. We always offer simple solutions, but we caution that most plumbing jobs are not easily solved by a homeowner. They require someone who knows how to handle the situation and has all the proper equipment. Please feel free to call us for any plumbing problem. Nothing is to big or to small for our company. Never make the mistake of making the problem worse by trying to take pipes a part and causing further problems. Let us take the worry out of your plumbing problems and we will be glad to partner with you in order to keep your home in the best shape possible. 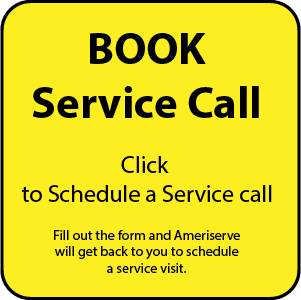 Give AmeriServe a call today and you might be surprised how easy and reasonable it is to use the number one plumbing service in Easton. Remember if the problem was cleared at the moment, but still persists after a few days, we will return to the problem and repair it, for free! Looking for Easton’s Drain Cleaning & Clog Removal plumbing experts? 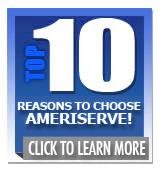 Call AmeriServe now at (610) 258-2591!